Build and expand skills from experiences in and out of the classroom. Apply theories to real world settings. Involvement is your committed participation in activities on and off campus such as clubs and organizations, community service, research with a professor, lectures and fine arts, civic and religious organizations and others, where you commit your time, energy and dedication. Leadership is using your skills, talents and vision to motivate others toward a common goal. Get involved, make new friends, learn about yourself, and grow as a leader. Use your skills, talents and vision to motivate others toward a common goal. 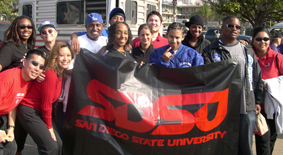 Each SDSU student is a success story waiting to happen. 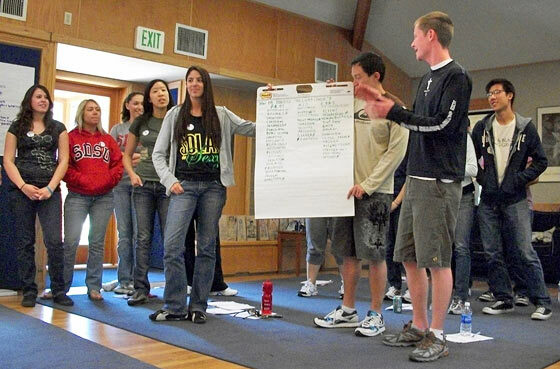 Students who are involved in campus organizations and activities are more likely to enjoy their college experience and make meaningful social connections. These students also have higher grade point averages and are more likely to graduate on time! 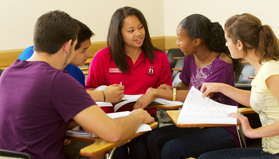 Student Life and Leadership (SLL) is a department of the Division of Student Affairs. It's committed to helping students like you make the most of your campus experience. 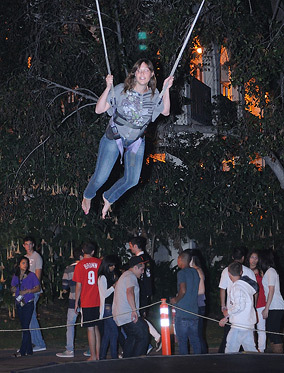 Round out your own academic achievements by actively participating in SDSU life. Step up and join a community service program, get involved in a student organization, or make a difference by becoming a campus leader. Take advantage of the many opportunities student life has to offer! The Division of Student Affairs strives to develop leaders who believe in and work toward civility, mutual respect and diversity and to expand opportunities for student involvement in a variety of campus, local, regional and international experiences. All students can jump-start their campus involvement each new semester by participating in these important SDSU traditions: Welcome Week and Aztec Nights.